Opportunity Knocks.Take Advantage While You Can! 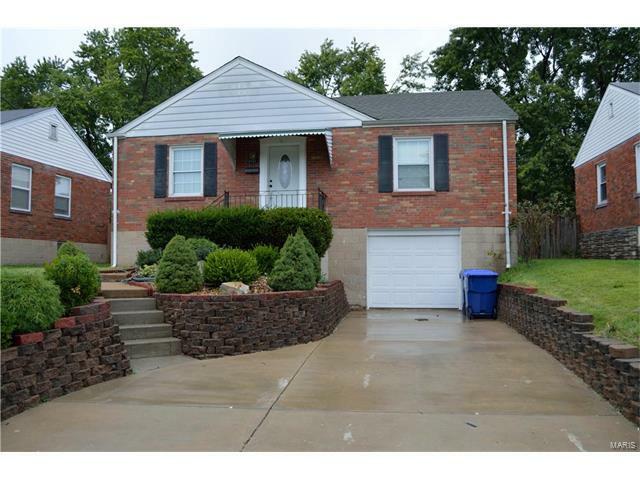 If ownership is your plan, then come see this 2-bedroom/1-bath home in Mehlville school district. This charming floor plan delivers a welcoming living room and dining room with gorgeous hardwood floors and crown molding. Updated kitchen with electric range, laminate countertops, microwave and fridge included. Fully updated bathroom on the main floor, gorgeous sun room. Partially-finished basement with great family room/recreation room, fully fenced in large back yard with storage shed. Some other great features like vinyl windows, updated lighting, newer water heater, electric panel box and roof. Freshly painted, and READY to go!Make this a MUST SEE home!